Knee pain is poorly understood, and many of the things that people think help either aren’t scientifically supported or have been debunked. Unless you’ve damaged your knee in some kind of accident, then the most likely cause of knee pain is overuse—doing too much with too little rest. The only reliable way to reduce most kinds of knee pain is to rest until your knee is completely pain free, although there are seven other strategies that may help as well. Healthy, pain-free knees are one of those things you don’t appreciate until they’re gone. When your knees start hurting, your favorite exercises become excruciating, you’re forced to use lighter and lighter weights, and everyday activities become a source of constant torment. Knee pain is also insidious. It starts out small—just enough to annoy you but not enough to make you stop whatever you’re doing—and then it grows and grows until it becomes a constant nuisance. Your knees feel tight for a moment during a workout. You shrug it off and keep going. It isn’t really pain, more just discomfort, and you’re confident it will go away in a day or two. During your next workout, that “tightness” transforms into brief, shooting pains, especially when you bend your knee. You make it through a few more workouts before you realize this problem isn’t going away any time soon. Fast forward several weeks, and now your knees hurt all of the time, even when you aren’t working out. You’re stuck in knee pain purgatory. You can’t train hard enough to get stronger, but you keep training hard enough to prevent your knees from healing. In desperation you ask your friends what to do, and everyone has a different opinion. Most people immediately recommend surgery. “Someone’s going to have to go in there and clean it out,” they say, as if bad knees just need an oil change. Others will tell you that this is the price you pay for lifting heavy weights. What did you expect would happen from squatting, lunging, and deadlifting every week? And others will say that your knee pain can easily be solved by fixing your posture, technique, and muscle imbalances. It’s all caused by the way you move, they say. There’s a reason everyone seems to have an opinion. One in four adults suffers from knee pain at some point in their lives, and it’s even more endemic in athletes. Knee pain is a poorly understood phenomenon, and outside of a few rare cases, it’s almost impossible to tell exactly what’s causing it. The good news, though, is that most forms of knee pain resolve by themselves if you rest properly (and that’s not as simple as just staying out of the gym). In this article, you’ll learn what causes knee pain, what does and doesn’t work for reducing knee pain, and the seven best ways to fix knee pain for good. What’s the Best Way to Reduce Knee Pain? Before we get into what causes knee pain, we need to understand the basic anatomy of the knee joint. The knee’s job is to allow the lower leg to flex while stabilizing the femur. It’s one of the best examples of a hinge joint in the body, which means the knee only moves in a single plane (forward and backward). There are also a collection of ligaments, smaller tendons, and fluid-filled sacs called bursa that act as padding between tendons and bones. The entire joint is surrounded in synovial fluid, which is a goo about the consistency of egg whites that lubricates the cartilage in joints. RSIs tend to start small and get progressively worse over time, which leads many people to keep training and make the problem much worse before it gets better. Some of the most common knee RSIs include . . . Most kinds of unexplained, sudden knee pain are linked to RSIs. This is because they tend to slowly get worse over time, until one day, the knee starts hurting for seemingly no reason. The truth, of course, is that the knee probably endured weeks or months of abuse until it couldn’t take it any more and started hurting. RSIs are one of the most common causes of knee pain in athletes, and luckily, they’re also the easiest to fix. Most traumatic knee injuries are caused by car accidents or playing sports, but it’s not uncommon for people to hurt their knees from every day activities or accidents, like slipping on ice. Some of the most common traumatic injuries include . . . Some of these injuries are relatively easy to fix (like a small patellar fracture, which usually heals on its own), while others might never fully heal, (like a complete ACL rupture). If you’ve had a traumatic injury and you’re sure that’s what’s causing your knee pain, then you’re better off seeing a doctor. There isn’t much you can do on your own, which is why this article is mostly about repetitive strain injuries and chronic injuries. Muscle pain and tightness are rather mysterious phenomena, and many of things that have long been assumed to cause them have been debunked. For instance, many people think that any kind of knee pain must be caused by inflammation of the muscle, bursa, or tendon (such as tendonitis) but the truth is that many knee injuries aren’t inflamed. This is why physical therapists often give people several different treatments, in the hopes that one or some of them will work. As unscientific as it sounds, reducing pain is often a matter of throwing a bunch of solutions at the wall and seeing what sticks. Many studies do the same thing, which is why research on pain science can be so misleading. For example, a study might compare a group of people who do a structured warm-up, physical therapy, and foam rolling to a group that doesn’t do anything. Sure enough, the group that tries all of the new techniques gets fewer injuries. Then, people will point to that study as proof that foam rolling works, when there’s no way to tell which method really moved the needle. That said, you still want to focus on the things that are likely to work, so let’s look at some of the most common things people use to fix knee pain and see how they stack up. Here’s the bad news: There’s very little research on the best ways to reduce knee pain, specifically. Most of the studies that we do have are about surgery for traumatic knee injuries (like ligament tears) or treatments for rheumatoid arthritis, which is an autoimmune disease wherein the body’s immune system attacks its own joint cartilage. That research isn’t very helpful for us fitness folk, who just want to be able to get back in the gym without knee pain. There’s a lot of data on pain and joint pain in general, and it’s fair to assume that most of that applies to knee pain, too. With that in mind, let’s look at 19 of the best and worst cures for knee pain, and see how they stack up against the evidence. Tell someone you’re having knee pain, and the vast majority will assume it’s caused by damage to the cartilage in your knee. 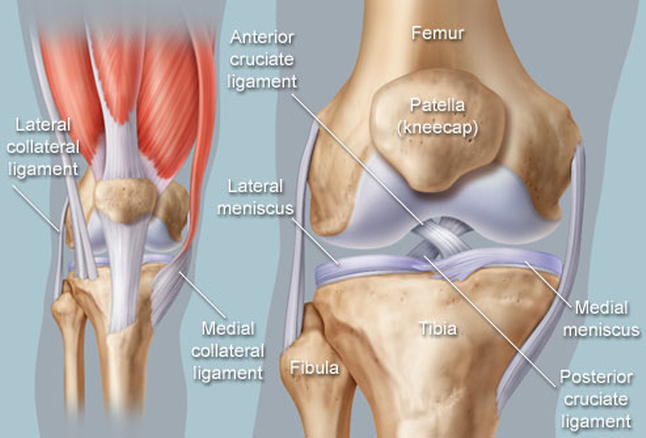 Specifically, knee pain is usually blamed on a meniscal tear, or a tear in the meniscus of the knee. It’s a well-known fact that the meniscus, like most of the cartilage in joints, doesn’t heal quickly. Compared to other tissues like muscle and skin, cartilage has very few blood vessels and thus doesn’t regenerate as fast. It’s incredibly tough stuff, but if it does get damaged that wear and tear tends to take much longer to heal than other injuries. This is why so many doctors, trainers, and physical therapists recommend surgery almost without question if you say that your knees hurt. If your body isn’t going to fix the problem, then a surgeon’s going to have to go in there and do it for you. The most common surgery for fixing damaged joint cartilage is known as “debridement,” which entails filing down or clipping away rough knee cartilage to create a smooth surface. Theoretically, these jagged edges of torn joint cartilage interfere with the knee’s natural movement, and cutting them out should reduce pain and improve knee function. If you envision the human body as a machine, you don’t want jagged parts rubbing against each other. Those plastic models in doctor’s offices are also convincing. Do you really want your joint cartilage to look like this? Of course not. You want a nice, smooth, knee, so this whole debridement thing sounds great. And you aren’t the only one who feels that way. There are over 650,000 knee debridement surgeries per year in the U.S., with an average cost of $5,000. There’s just one problem—it doesn’t work. This myth was definitively put to rest by a study published in the prestigious New England Journal of Medicine back in 2002. In the study, 180 people were split into two groups. One group received state-of-the-art knee debridement surgery and “lavage,” which involves running water through the knee joint to wash out pieces of cartilage and other particles that might irritate the knee. The other group was put under anesthesia, cut open, and put through every step that the first group was, with one key difference: the surgeons never actually performed the surgery. They took tremendous pains to make sure the subjects wouldn’t know, too, like moving the knee in the same way they normally would during surgery, splashing water to mimic the sound of lavage, and asking nurses to hand them surgical tools just as they would during the real procedure. There was zero difference in pain, knee function, and stair-climbing ability two weeks after the surgery. The researchers took all of the same measurements again six times over the next two years, and there was still no difference at any point. Ironically, the group that got the real surgery had slightly worse knee function over the following two years. The surgery was a complete flop. This idea has been so thoroughly debunked that the British Medical Journal recommends against it even if there’s obvious damage to the knee or other symptoms of arthritis. Many other studies have proven the same thing time and time again. Even simple leg exercises show better results than this kind of knee surgery. This doesn’t mean all kinds of knee surgery are useless, though. For example, reconstructive surgery for ACL injuries can often help people regain excellent knee function. But when it comes to trying to fix knee pain that’s caused by joint degeneration, overuse, or general wear and tear, surgery is a complete dud. The bottom line is that the most common form of knee surgery (debridement) doesn’t work. People who get a fake knee surgery consistently do just as well or slightly better than people who get the real surgery, and other solutions like leg-strengthening exercises work much better. 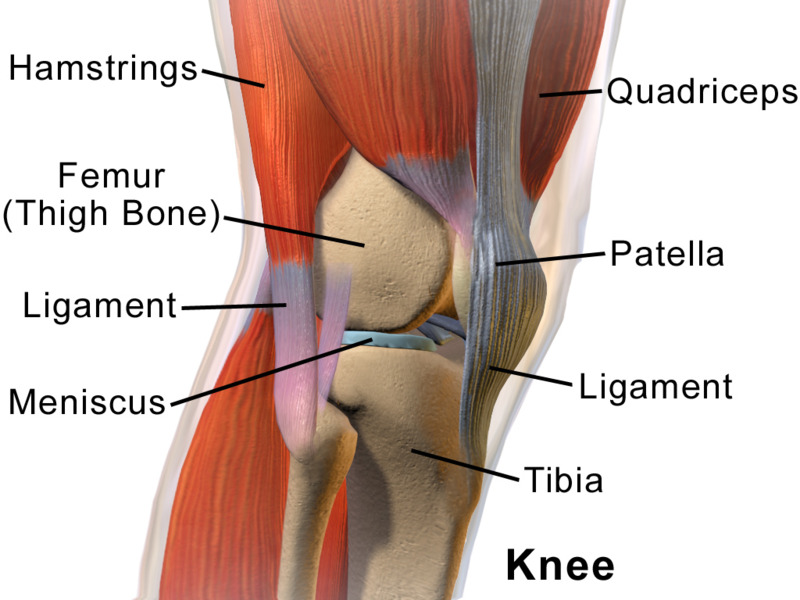 Many people believe that knee pain is caused by muscle imbalances. Ask these people what they mean exactly, and the conversation inevitably leads to what’s known as patellofemoral tracking syndrome. To understand this argument, we need to cover some more anatomy. 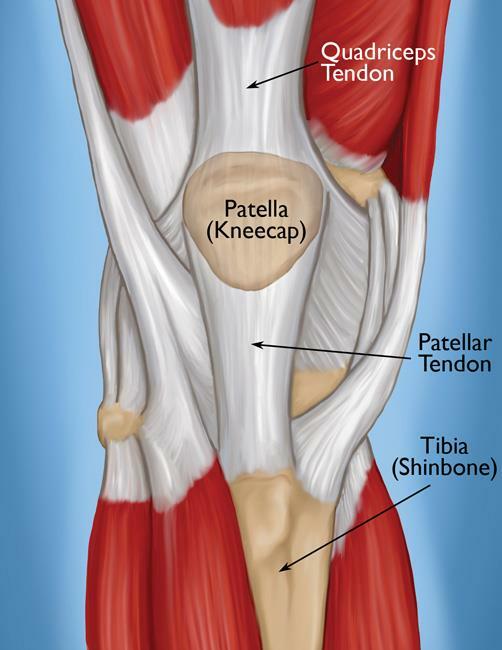 The patella is a bone about the size of a small oyster that’s anchored to the upper leg muscles by the quadriceps tendon, and the tibia (shin bone) by the patellar tendon. During healthy knee function, the muscles of the upper leg pull on the patella, which causes it to glide, or “track,” over the top of the femur. (The big bone on the left of the screen is the femur). The idea of patellofemoral tracking syndrome, is that the muscles of the upper leg can pull the patella out of alignment, causing it to slide unevenly along the femur. This makes the patella grind into the femur when you flex and extend your knee, and over time this wears down the cartilage in your knee and causes pain. If you go to see a physical therapist, personal trainer, or just about any other expert, chances are good they’ll run you through some kind of patellar tracking test. Then, they’ll say that one or more muscles in your leg is weak, and give you a list of exercises to fix the problem. 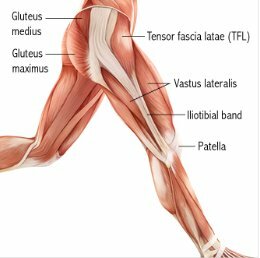 One muscle in particular gets the lion’s share of the blame—the vastus medialis obliquus (VMO). 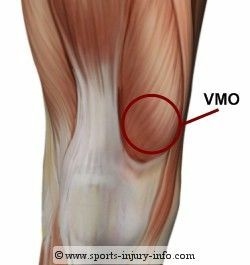 The VMO is a quadriceps muscle on the inside of your front thigh that’s attached to the patella. Strengthen this muscle, you’re told, and your patella will start tracking normally again, and the knee pain will go away. There are several other gaping holes in this logic. If this were the case, then you’d expect a weak VMO muscle to be associated with more knee pain and patellar dysfunction, but that’s not true. 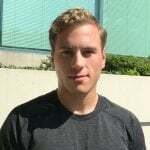 There’s also no clear definition of what “normal” patellar movement is, and many people’s patellas move in odd ways with no sign of pain or dysfunction. Even trained physical therapists can’t agree on what “normal” patellar tracking should look like. Strengthening the muscles of the leg can help reduce knee pain, but there’s little evidence that’s because this fixes muscle imbalances, that muscle imbalances caused pain in the first place, or that muscle imbalances affect patellar tracking at all. The bottom line is that muscle imbalances are very unlikely to cause knee pain, and the strength of specific leg muscles (like the VMO) isn’t linked with patellar tracking or knee pain. “Tightness” and lack of flexibility can cause and prolong injuries, so becoming more flexible reduces pain and helps you heal faster. Stretching makes you more flexible, so stretching helps fix your knee pain. When talking about knee pain specifically, you’re normally told to stretch your iliotibial band (IT band). The commonly accepted idea is that the iliotibial band can become tight, and when that happens, it rubs against a bump on the top of the tibia called the lateral epicondyle, which creates pain. This is why it’s known as iliotibial band friction syndrome. That sounds logical enough, but new research shows this is more myth than fact. For one thing, people with tight iliotibial bands get knee pain just as often as people with normal iliotibial bands. Due to the position and attachment points of the iliotibial band, the most common stretches for the iliotibial band aren’t able to pull on it to any meaningful degree. The iliotibial band is anchored to the entire length of the femur in multiple places, so even if you could get your body into a position where you could stretch it, it probably wouldn’t budge. The iliotibial band is relatively flexible already, and while it can stretch a little, it immediately snaps back to its original length. If we look at the studies on stretching and pain in general, the results are even less impressive. There’s very little evidence that stretching any joint reduces pain or soreness. Some research shows stretching might help reduce pain, but the effects are so small that they aren’t much different from doing nothing. That said, stretching could reduce inflammation in connective tissue, and inflammation could be one contributor to joint pain. Right now, though, no one knows for sure. If inflammation isn’t the cause of your knee pain, then it’s even less likely this would help. So, what’s causing the pain then? 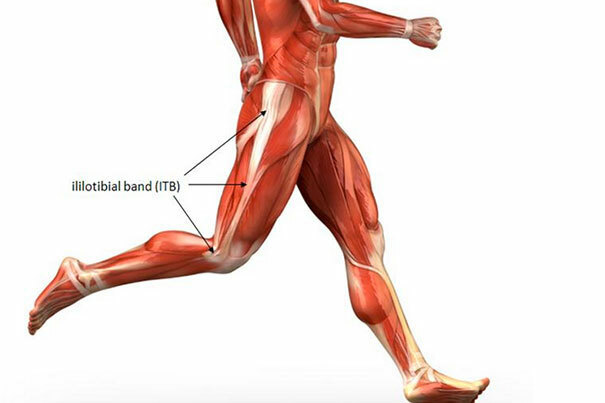 Well, it’s more likely that “iliotibial band” pain is actually caused by the compression and irritation of the fat and nerves underneath the iliotibial band. When this tissue is surgically removed, the pain goes away. The bottom line is that knee pain isn’t caused by a tight iliotibial band, and stretching your iliotibial band isn’t going to fix your knee pain. Stretching may help reduce the perception of pain in the short term, but there’s no evidence becoming more flexible will help prevent or reduce knee pain in the long term. Heavy, strenuous squats look like they must be bad for your knees, and many doctors are quick to tell you that if you have knee pain, you should stop squatting. The general idea is that every rep of a heavy, deep squat puts a little more wear on the cartilage and tendons in your knees. Over time this contributes to knee pain and potentially disastrous injuries like a tendon rupture. Scientists at Duke University debunked this myth in a study that examined two decades of published research on this question. They found that during the squat . . . The hamstrings stabilize the shinbone in such a way that stress on the knee joint isn’t harmful. 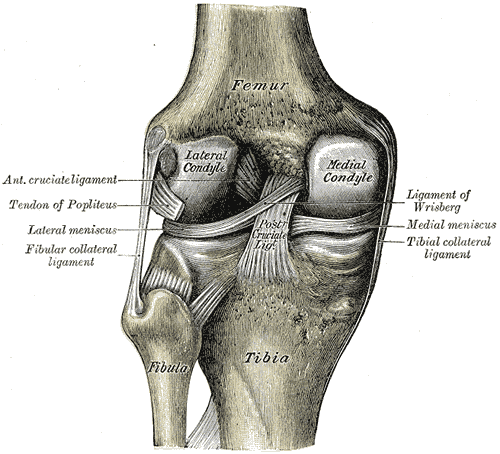 The actual forces placed on the connective tissue in the knee are well within the safe, acceptable range. In one study, the highest ACL force recorded when squatting was a mere 6 percent of its ultimate strength, and in another it was only 25 percent. The highest recorded PCL forces were well within natural strength limits as well. Other research has shown that powerlifters, who squat deep and heavy, often have greater knee stability than other athletes, and experienced weightlifters have joints that are just as healthy as the average person. These people were also training with loads that put more than six times their body weight on the knee joint. The bottom line is that as long as you squat with proper form, squats aren’t bad for your knees. The bottom line is that massage may help reduce your knee pain and certainly won’t hurt, but it’s far from a sure bet. If you can afford it, it’s probably worth a shot. No studies have directly measured how chiropractic affects knee pain, but the little evidence available doesn’t look good. The few half-decent studies that show even a glimmer of hope also used other therapies for knee pain in addition to chiropractic, so there’s no way to know which treatment actually helped reduce pain. Given that most studies on chiropractic alone show that it doesn’t work, it’s more likely the other techniques were responsible for the improvements. There isn’t even a plausible mechanism for how chiropractic could help reduce knee pain. There are a handful of studies that people throw around as proof that chiropractic works, but upon closer scrutiny it’s clear they don’t prove anything of the sort. For example, most of these studies only measure pain immediately before and after people get chiropractic, and it’s a well-known fact that people are more likely to experience a placebo effect during that period. Studies on all forms of chiropractic are notorious for other flaws, such as . . .
Poor blinding (which raises the chances of a placebo effect interfering with the results). Small samples size (which increases the chances of finding a false-positive result). Minimal or incomplete reporting of the results (which makes the results seem more impressive than they really are). To be fair, many people say that chiropractic helps them feel better, and there’s truth to the idea that, “If it works, it works.” On the other hand, chances are good that any improvement is more likely a placebo effect, so don’t count on chiropractic to actually fix whatever is wrong with your knee. The bottom line is that there’s little evidence that chiropractic will reduce knee pain, and if it does help you feel better, chances are good it was through a placebo effect. Depending on who you ask, one of the main arguments for foam rolling is the idea that pain is caused by trigger points—patches of connective tissue called fascia that get become overstimulated, tight, and painful. Fascia is a web of connective tissue beneath the skin that attaches, protects, and separates muscles and other internal organs. (There are multiple definitions for trigger points, which is part of why the science surrounding them is so fuzzy, but that’s the generally agreed upon explanation). Foam rolling aficionados also generally say that you should target the iliotibial band, but, as you now know, “tight” iliotibial bands aren’t what causes knee pain. All in all, the evidence for foam rolling is probably one rung down from getting a professional massage. It’s likely better than doing nothing, but not much. The bottom line is that there’s almost no evidence that foam rolling reduces knee pain, but it’s probably better than nothing if it makes you feel better. Some people say acupuncture works because it “rebalances” the lifeforce of your body, called “qi.” Others say it works because it stimulates the body to produce more painkilling chemicals. And others don’t try to justify why it works. Well, it depends on where you look for answers. It’s easy to find reviews and meta-analyses that seem to show acupuncture works, but it’s a different story when you look at these studies individually. Review studies and meta-analyses on acupuncture often play a kind of statistical sleight of hand. The highest quality studies show insignificant effects, but a few low-quality studies show profound effects, so the researchers throw them all together and essentially “average out” the results, which lets them conclude that acupuncture works. What makes some studies low-quality, you wonder? Third, the few positive results are disappointingly small. For example, people who get acupuncture for knee pain typically say their pain improves by 4 points on a 20 point scale, and people who get a placebo treatment say their pain improves by 3 points on a 20 point scale. This is so small that it’s meaningless in the real world, but depending on how the study is designed, this can pass for statistically significant. If you throw out the garbage research and only look at the best studies, you quickly find that acupuncture either doesn’t work or slightly reduces pain for a week or two and then stops working. Even then, the results are so small that they’re almost nonexistent in most cases. The bottom line is that there’s very little evidence that acupuncture can reduce knee pain, and in most cases, it’s no better than doing nothing. If joint pain is caused by excess wear and tear, then it makes sense that carrying around an extra 10, 20, or 30 pounds of body fat would be bad for your knees. Sure enough, that seems to be the case. Excess body weight is generally associated with more knee pain in athletes and sedentary people and for the young and old alike. Specifically, overweight men and women are four to five times more likely to develop osteoarthritis, which is the gradual degeneration of cartilage in joints. Osteoarthritis is different from rheumatoid arthritis, but both involve increased levels of inflammation and cartilage degeneration. Due to the mechanics of the knee joint, every pound of weight loss translates into about four pounds of reduced load on the knee, which is why reaching a healthier weight (going from obese to overweight or overweight to normal weight) reduces your chances of developing knee joint degeneration by 20 to 30 percent. In other words, losing 20 pounds is the equivalent of losing 80 pounds as far as your knees are concerned. Obese people have higher rates of joint degeneration in their wrists, fingers, and shoulders. Shouldn’t being overweight just hurt load-bearing joints like the hips, knees, and ankles? Why would it damage other joints, too? Well, the answer seems to be that obesity damages joints partly by raising levels of inflammation in the body. Knee joint degeneration is also linked with higher levels of inflammation, which further explains why losing weight protects your knees. The good news is that it only takes about a 10 percent loss of body weight to significantly reduce whole-body inflammation, which could significantly reduce or eliminate damage to the knee. The bottom line is that maintaining a healthy weight is one of the best things you can do to reduce and prevent knee pain and joint damage. If you’re currently overweight and have knee pain, losing weight should be your number one priority. Poor posture just looks . . . unhealthy. Surely, hunching over like some gollum wannabe must be bad for your shoulders, back, and knees, right? This is why movement gurus everywhere say that small quirks in your posture, like putting more weight on one leg when you stand, gradually pull your body out of alignment. This forces other parts of your body compensate by altering their movement, which leads to knee pain over time. *Sigh* If only it were that easy . . . It turns out that all of this is more or less hogwash. This isn’t to say that poor posture couldn’t have any effect on knee pain, but it’s rarely the main cause. Now, there are obviously other reasons to improve your posture, but avoiding knee pain shouldn’t be one of them. The bottom line is that poor posture is almost certainly not the main cause of your knee pain. Non-steroidal anti-inflammatories (NSAIDs) are a class of drugs that blocks chemicals made by your body that increase pain, swelling, and inflammation. To reduce inflammation, which many think is the cause of joint pain. If your knee pain is caused by inflammation, then NSAIDs may also be able to help fix the actual cause of your pain, and not just reduce pain. Unfortunately, many knee injuries aren’t inflamed, which means painkillers like NSAIDs aren’t actually healing your knee. This is why most NSAIDs don’t work well for reducing joint pain for more than a few days or weeks. So, if it just makes your knee feel better, what’s the problem with taking them? Second, it’s possible to mask knee pain with NSAIDs and thereby make it easier to keep training, which can delay healing even further. In other words, if you hide the pain with NSAIDs, it’s easier to re-injure your knee by training harder than you otherwise would. That said, assuming you’re otherwise healthy, there’s no reason you can’t take NSAIDs for a few days to get through the worst of the pain if you injure your knee. The bottom line is that NSAIDs can reduce pain for a few days or weeks, but they don’t work well for healing knee injuries or reducing pain long term. If you take them to cover up knee pain so you can keep training, chances are good you’ll only re-injure your knee. This was proven in a massive double-blind, randomized controlled trial on 1,583 people with knee pain that was published in the New England Journal of Medicine. The researchers gave some people glucosamine, some chondroitin, some both glucosamine and chondroitin, some NSAIDs, and the final group a placebo. After two years, there was no difference in knee pain between the group that took glucosamine chondroitin (together or individually) and the people who took the placebo. 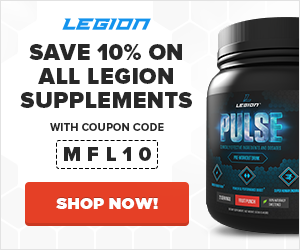 Additionally, studies have repeatedly shown that glucosamine chondroitin isn’t effective for reducing joint pain or improving cartilage health. The bottom line is that glucosamine chondroitin supplements have never been proven to reduce or prevent knee pain. That said, icing can take the edge off of pain and reduce your need for NSAIDs, but it’s not going to make knee pain go away faster over the long term. The bottom line is that icing has never been proven to reduce joint pain, but it can temporarily reduce your knee pain by numbing the area. On the whole, physical therapy seems to help reduce knee pain. The effects aren’t huge, and it doesn’t work all of the time or equally well for everyone, but by and large it’s better than doing nothing. One of the most well-supported forms of physical therapy for repetitive strain injuries is to gradually stress the weakened structures in the knee joint with progressive exercise, which causes them to grow stronger and heal. For example, using leg extensions to build up the connective tissues in your patellar tendon. Interestingly, one thing that’s clear is the people who are happiest with their physical therapist generally have the best results. Whether that’s because simply feeling like you’re in the hands of a trained, kind professional reduces pain, or whether these people liked their therapist more because they did a great job, isn’t clear. The bottom line is that physical therapy might help reduce knee pain, but that depends on what’s causing the pain and what the therapist recommends. Typically, either a sugar solution (dextrose) or a purified form of cod liver oil (sodium morrhuate) is injected every few weeks for several months. The idea is that by irritating the surrounding tissue, you can encourage the body to heal itself.
. . . and the best we can really say is that it might help reduce pain for some problems, but most of the time it either doesn’t work or the benefits are so small it’s impossible to tell. The bottom line is that prolotherapy probably doesn’t reduce knee pain, and almost certainly isn’t worth the cost, inconvenience, and discomfort of having to get repeated injections. One review study on TENS found that it helps about half the time and doesn’t help the other half. Other studies are even less positive, and show it probably just doesn’t work for joint pain (although it might help other conditions, like nerve damage caused by diabetes). The bottom line is that TENS might help reduce some kinds of pain, but it probably won’t work for knee pain. 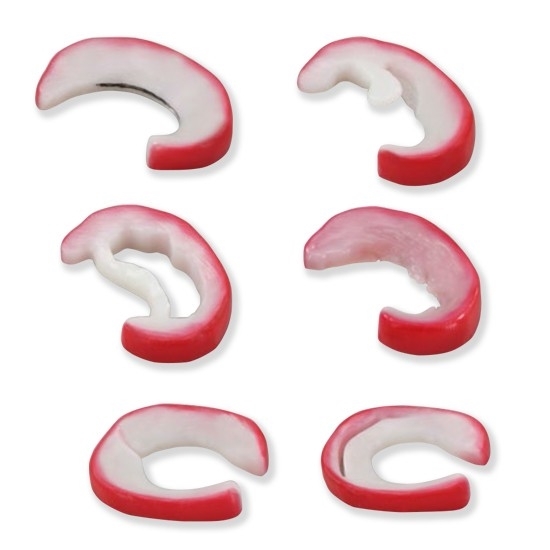 They’re often used for joint pain such as carpal tunnel syndrome, knee pain, and low-back pain. Cortisone shots can reduce inflammation and knee pain in the short term, but as soon as the drugs start to wear off, the pain returns. A recent review conducted by researchers at the University of Bern in Switzerland analyzed 27 studies on cortisone shots for knee pain. The result? Cortisone shots sometimes reduce knee pain for a few weeks, but the effects are small, unreliable, and short-lived. Steroid injections also have risks. Some researchers also think there’s a link between cortisone shots and tendon damage, and other studies have shown that people who get cortisone shots heal slower than people who simply rest. The link between cortisone shots and joint damage isn’t airtight, but it’s not comforting, either. The bottom line is that, in most cases, cortisone shots aren’t going to reduce your knee pain for long, won’t do anything to heal your knee, and usually aren’t worth the cost, inconvenience, and risk. Curcumin is a yellow pigment found in the turmeric plant, which is the main spice in curry. It’s been used therapeutically in Ayurvedic (Indian) medicine for thousands of years, but recently it’s been getting more and more attention in the scientific community as well. Scientific researchers around the world are studying its ability to fight a variety of disease such as cancer, cardiovascular disease, osteoporosis, diabetes, Alzheimer’s, and more. The main benefit seems to be curcumin’s powerful anti-inflammatory effects. Curcumin supplementation inhibits proteins that trigger the production of inflammatory chemicals, and research shows it may be as effective for reducing knee pain as ibuprofen. Fortunately, there’s an easy solution for increasing bioavailability—black pepper extract. Research shows that pairing black pepper extract with curcumin increases bioavailability twentyfold. And when you do that, curcumin becomes an effective joint support supplement. The bottom line is that curcumin may help reduce knee pain, potentially as much as ibuprofen, but you need to take it with black pepper extract for it to be effective. Some people say that as soon as your knee starts hurting, you should stop working out completely and rest as long as you need to before you do any kind of exercise. There’s some truth to that—most people have a tendency to “push through the pain,” which only makes the problem worse. So, while you don’t want to keep doing any activities that cause pain, you want to stay as active as you can without causing your knee to hurt any more than it already does. I saved this for last because, right now, active rest is about the most well-supported treatment for knee pain out there. If moving your knee in a particular way hurts, then stop moving your knee that way until it stops hurting. The bottom line is that active rest—moving your knee as much as possible without experiencing any pain—is the most reliable way to reduce knee pain. There are seven things you can do that will reduce knee pain in most cases. None of them are guaranteed fixes, but they’re your best options. If your knee hurts during certain exercises, and you haven’t been through some traumatic injury, then chances are good you’re dealing with some kind of repetitive strain injury (RSI). The good news is that you don’t have to stop exercising altogether. Studies show that active rest, doing light activity but avoiding anything that causes severe pain, can help you heal faster. So, as a general rule, the best way to reduce knee pain is to move your knee as much as possible without experiencing pain. Immediately stop lifting weights and start doing other activities, like walking, that don’t irritate your knee. Modify your lifting plan to work around your knee pain. If you take the first option, then there’s almost zero chance of prolonging your knee pain, but you also have to stop doing any kind of weightlifting. If your knee’s been hurting for a while or the pain is intense, then this is a better option. The easiest way to practice active rest is to pick a different form of exercise, like walking, cycling, rowing, hiking, or swimming, and start doing that for at least 30 minutes a day. If you take the second option, then it might take longer to heal, but you also get to keep going to the gym. If your knee doesn’t hurt much, hasn’t been hurting for long, or only hurts when you do certain exercises, this might be the better option. Use different variations of squats that don’t hurt, such as front squats, high-bar squats, pause squats, or split squats. Stop doing all squat-type exercises. Stop doing all lower body exercises. One thing to know before we move on: some people will tell you that if you feel any pain while working out, then you should stop training. That’s a safe bet, but it’s also true that you can still have knee pain long after the actual damage has healed. If the pain is intense, constant, and gets worse during certain lifts, then you need to give yourself more time to heal before you start training again. If the pain is mild, intermittent, and doesn’t seem to get worse during certain exercises, then you can probably start training again without having to worry that you’ll prolong the pain. When it comes to the knee, this means being able to flex and extend your lower leg without feelings of tightness when doing exercises like the squat, lunge, and deadlift. 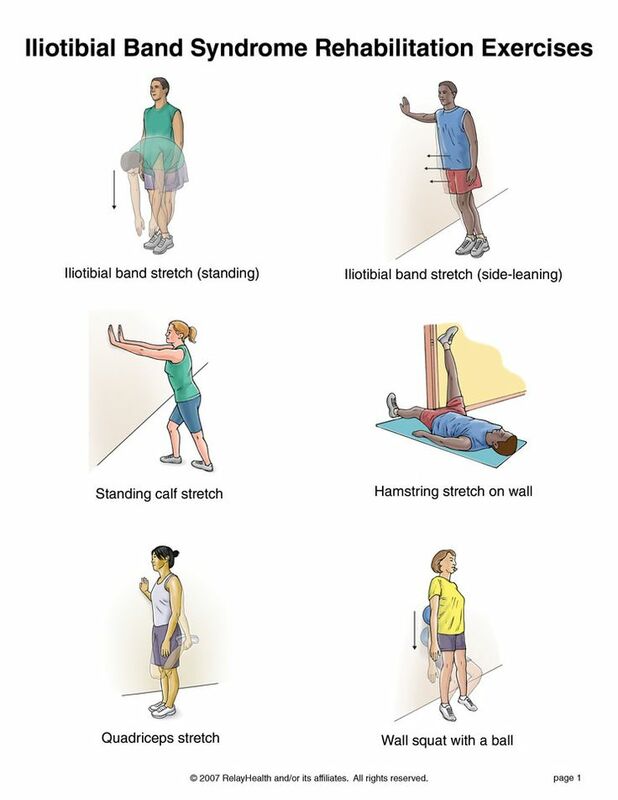 As we covered earlier, there isn’t much evidence that stretching prevents or reduces knee pain, but it’s also not going to hurt, and many people find it helps them feel better in the short term. It’s also possible that if you don’t have the mobility to do lower body exercises properly, then you could be setting yourself up for an overuse injury (theoretically, at least). Most knee mobility exercises involve using simple stretches or tools like foam rollers, elastic bands, and lacrosse balls to massage and stretch the muscles around your quadriceps, hamstrings, and iliotibial band. If you aren’t currently lifting weights, and doing so doesn’t hurt your knee, then you should start. Increasing leg strength is one of the more reliable ways to avoid knee pain, and the same thing is true of other kinds of pain as well. You need to be careful, though, because if you’re already dealing with knee pain then more exercise can also make the problem worse. Rate your level of pain on a scale of 1 to 10. If the number is a three or less, then go ahead with your workout. If it’s higher than that, stick to exercises that don’t bother your knee or skip lifting and do a different activity that day. Do the same test every day, at the same time, and track your level of pain. If it gets worse over time, then you need to dial back on your workouts and rest your knee more. If the pain is the same or less, then you can keep training as much as you are now or do even more. If you let your knees bow in when you squat, or extend them too far past your toes, you can really hurt them when going heavy. If you round your back during a deadlift, or hyperextend it too far at the top, you’re asking for a lower-back injury. If you flatten your back and round your shoulders at the top of a bench press, or flare your elbows out too much, you will probably have shoulder and elbow problems at some point. A proper warm-up routine should bring blood to the muscles that are about to be trained, increase suppleness, raise body temperature, and enhance free, coordinated movement. By doing this warm-up routine, you’ll probably find that you can lift more weight while maintaining proper form, which can significantly reduce your risk of injury. Many people also like to use knee sleeves to keep their joints warm during lower body workouts. They won’t reduce your risk of knee injury, but they aren’t going to hurt, either. Both SBD and Rehband make good ones, if you want to give them a shot. Massage is one of the safest, least invasive things you can do to reduce knee pain. It might help, and probably won’t hurt, so it’s worth trying if you can afford it. Compared to active rest and following a proper workout routine, supplements are going to have a very, very small impact on how fast your knee pain goes away. Some of the most popular supplements for joint pain, like glucosamine chondroitin, have also been thoroughly debunked. That said, there are safe, natural substances that science indicates may help prevent and reduce knee pain. Fish oil is known for being anti-inflammatory, and in cases where knee pain is caused by inflammation, taking fish oil may help. 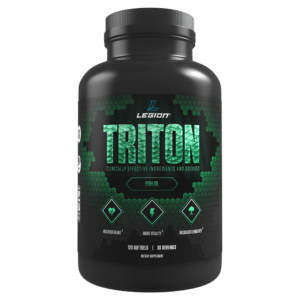 So, if you want to optimize your mental and physical health and performance and reduce the risk of disease and dysfunction, like knee pain, then you want to try Triton today. 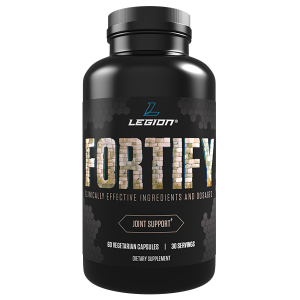 The bottom line is if you want healthy, functional, and pain-free knees that can withstand the demands of your active lifestyle, then you want to try FORTIFY today. Pycnogenol is another compound derived from the bark of the maritime pine tree, or Pinus maritima. The downside of pycnogenol is that it’s also expensive, which is why most supplements use a similar compound known as grape seed extract. Both of these compounds contain what are known as procyanidins, which are chains of antioxidants found in some plants. Although they aren’t exactly the same, it’s likely that grape seed extract offers many of the same benefits. The clinically effective dosage of grapeseed extract is 75 to 300 mg per day, which is why Fortify contains 90 mg of grape seed extract per serving. Knee pain is one of the most common hurdles for us fitness folk. Unfortunately, most of the things that “everyone knows” help reduce knee pain either don’t have any evidence for them or have been debunked. Stop doing whatever makes your knee hurt. What’s your take on knee pain? Have anything else to share? Let me know in the comments below!